It is now 2018. 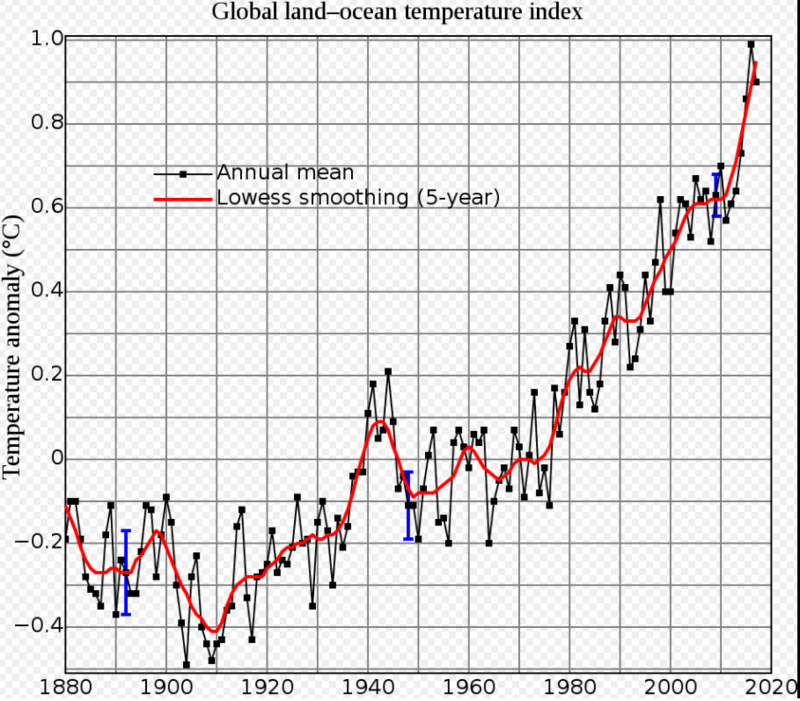 The earth has been getting warmer. Most recent U.N. report warns about the need to make changes worldwide to avoid disaster. See this PBS Newshour Video Report for in-depth overview. Climate and the ocean conveyor belt: thermohaline circulation. Every element has its own video and lesson! Quest offers some of the best real world science education available. Also check out their digital media for education. Professor Eric Brunsell presents some interesting resources. Check out the YouTube SciShow channel. See sample video below. The drought in California. There are science based solutions. This site provides step-by-step lessons and multimedia tools for K-12 science. Explore the ever changing Go In Depth menu at top of screen. Developed by the American Association for the Advancement of Science (AAAS). Try these cloud based science Tools: 3D Brain App; Zap; Touch of Class. Science is more than squiggly stuff and refrigerator experiments. It is about inquiry. The WhyFiles is one of the best science sites around. It bills itself as "the science behind the news." It is sponsored by the University of Wisconsin. Learn about global warming, interactive tornadoes, how fish sing, and more. If you teach Life Science, this site is absolutely engaging. Why look for pictures that illustrate cell division when you can see an animation on the web of mitosis or meiosis? See the difference between plant and animal cells. Watch bacteria scoot hither and thither. Fun, interactive, research-based simulations of physical phenomena from the PhET™ project at the University of Colorado. Copernicus and Galileo were some of the notables who studied the heavens. We also now have the National Aeronautics and Space Administration (NASA). Stay current on news, missions, multimedia and more. Teachers click here. Geared to middle school science teachers and students. Disregard the ads. Many areas to explore. The lessons and resources are great! Quick link to Kid Zone. If you are a science teacher, be prepared to spend a lot of time here. Maintained by Norman Herr, Ph.D. from CSU Northridge. Designed to accompany The Sourcebook for Teaching Science. Here is a Google site developed by Apple Distinguished Educator Julene Reed. It was forwarded to me by Mrs. Alamo via Edmodo (there is power in staying connected). I hope this isn't controversial, but climate change is real. It effects can be seen in various habitats such as the tundra. Check out the introductory video and the Challenge Lessons one, two and three. See related resource: Polar Bear International for Teachers. Is climate change real? Get some data. Climate.Gov: Visit National Oceanic and Atmospheric Information site for primary source information. Stay climate smart. Get a visual perspective on melting glaciers. How quick is it happening? I saw the whole film, and I was enthralled. Watch the trailer for Chasing Ice on National Geographic channel. (Full video available on iTunes and NetFlix.) For photography buffs, see James Balog's photo gallery.